How Does Pregnancy Complicate Divorce in Texas? Divorce is a difficult and painful process for almost any couple experiencing the end of a marriage partnership. Making decisions about property division and custody arrangements can be extremely stressful and emotionally-charged for the parties involved. Divorce becomes even more complicated when one party becomes pregnant before the divorce is finalized. Couples who are considering getting a divorce in Texas while pregnant will face some additional steps throughout the divorce process due to the pregnancy. Texas requires almost all couples to wait sixty days before finalizing a divorce, regardless of whether or not one of the spouses is pregnant. A divorce in Texas while a spouse is pregnant is unlikely to be finalized until after the baby is born. Courts in Texas typically wait to finalize the divorce until after the birth of the baby so that orders regarding the child can be included in the final divorce decree. (One of the few exceptions to this rule is in the case of domestic violence.) Therefore, if the pregnancy is already a few months along, the waiting period shouldn’t take much longer than the two months already required by Texas law. Even if the divorce is contested, it’s unlikely the pregnancy would delay the process since contested divorces often take longer than the length of a pregnancy. Divorces in Texas involving a pregnant spouse become more complex when the paternity of the unborn child is in question. In this case, the husband will need to file documents with the court denying paternity of the baby. 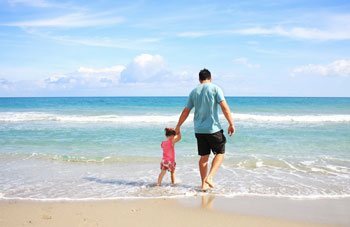 If the biological father will not agree to sign an acknowledgment of paternity, the court will need to order the biological father to take a paternity test. If the paternity test verifies the identity of the biological father, the divorcing husband will need to file for the court to adjudicate parentage so that the court can name the father in the final divorce decree. Husbands who are unable to prove they are not the biological father of their wife’s unborn child will still be subject to paying child support since the court views children born during the marriage as being the husband’s children. A husband who strongly believes he is not the father of his wife’s baby can petition the court to order a paternity test. This process may be necessary once the baby is born to determine who the father is. Although getting a divorce in Texas while pregnant adds an additional layer of complication to the divorce process, it is possible to navigate this complex territory by finding a good Texas divorce attorney. Working with the right legal experts will provide you with the knowledge and guidance you desperately need during one of the most difficult times of your life. If you’re facing a divorce and you need trusted, expert legal guidance, contact Ramos Law Group today to schedule a consultation.